Christmas. A time to gather with friends and family to celebrate the joys of the season. Of a year ending, and a new one to come. A time to celebrate the birth of Christ, a Savior born (like we all are) in blood and pain. Unlike, His tiny body was wrapped in swaddling cloths and laid in a feeding trough hewn from cold, hard stone. They didn’t have Apgar scores, or incubators, in His day. No one was standing by with a nasal aspirator to suction the mucus from His nose and throat. What a risk! Eternal God to come and be made man! Think of all He forswore to be contracted into such a span! The minds reels at the thought of the incarnation. That the God Who made it all could limit Himself to such a lowly estate, and not only, but to be born amongst stinking animals, too. I don’t think we spend nearly enough time thinking about what Christ lost coming into our world. What He laid down for our sakes. As such, as someone who knows sorrow (“a man of sorrows, acquainted with grief”), Jesus is very tender towards those know loss this season. Maybe this is your first Christmas without that special someone. Jesus knows. Or maybe tour loved one died on (or around) Christmas. And He loves you. He knows your loss, and grieves with you. As I know He is grieving with my family now, having lost a cousin just before Thanksgiving, and a great aunt on Christmas Eve. Forever will the holidays be associated with these events. There is sorrow, yes. But there is also the joy of hoped for reunions one day, and the happiness of being able to hold our living loved ones near. Christmas: A Season of Hope and Loss. How are your holidays? Do think of those who have gone on before, and hold you family tight? 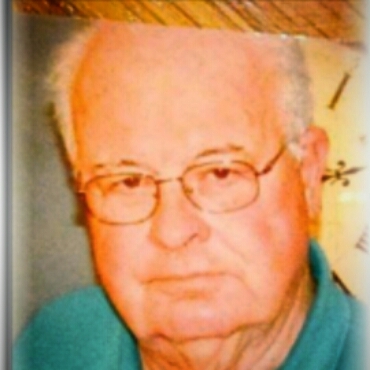 James Thomas Harthan, age 75 of Geneva, PA passed away on Monday, November 24, 2014 at his residence. James was born April 6, 1939 in Sharon, Pennsylvania, the son of the late Thomas and Elsie Eldridge Harthan. He had a long career in retail automobile sales, working for several car dealerships in Mercer, Erie and Crawford counties. Later in life he established his own auto sales business. He enjoyed buying and selling cars. He also enjoyed watching old movies. James is survived by his son Bradley Harthan and his wife Audrey, several cousins, nieces and nephews, and a close friend Jenny Palmer of Emlenton, PA.
Award, 100 Harthan Way, Albion, Pa. 16401. Nota bene: this post contains spoilers. If you haven’t seen Interstellar proceed at your own risk. My wife watched Christopher Nolan’s new film Interstellar last weekend. I’ve been pondering it ever since. The film presents a rather bleak (or dystopian) view of the future, showing a world where most crops are dying due to an unstoppable blight. Corn is shown to be the hardiest, but it too is showing signs of falling to the blight. Moreover, due to the dying plants, oxygen levels are dropping. Mankind, of course, can’t live without breathable air. What happens next is something which appears to be supernatural–numinous–by which the film takes great pains to explain scientifically. Murphy, the daughter of the film’s protagonist, Cooper, seems to be receiving communications from her bookshelf. Some force, or entity, is using Morse code and/or gravity to leave her a message. This message contains coordinates, which lead to a secret government facility. And thus the plot of the film is kicked into gear. The secret facility, it turns out, is the last NASA facility left, where they are working on a plan to save humanity. It seems that a wormhole has been opened near Jupiter, which is seen as a chance to find colonizable planets. Other missions have gone, by have not returned. Cooper, now a farmer, was once NASA’s best pilot, and is seen as this last mission’s best hope for success. He of course agrees, leaving his children to be raised by his father-in-law. What follows are thrilling scenes of space travel, alien landscapes, intrigue, danger, betrayal, and salvation. It is this last of which I’m going to write. Cooper, it turns out, becomes the means of mankind’s salvation by becoming a conduit through which ascended human beings communicate to his daughter, Murphy (who grows up to become a scientist while her dad is gone), who completes a formula to move mankind off of Earth. As a lifelong fan of sci-fi, this didn’t bother me, namely the idea that our hope lies amongst the stars. That’s a trope as old as time. Philosophically, however, Interstellar is firmly grounded in materialism and humanism. All that exists is only what we see, and somehow we evolve to save ourselves. Becoming somehow so transcendent that we can’t communicate except by leading a man to the farthest reaches of space, and then dropping him into a singularity. My biggest beef (if you will) with the film is this: future humans are so transcendent we can make wormholes, and indeed black holes, but can’t, you know, speak. Now there were aspects of the film I appreciated, particularly the notion that love transcends time, space, gravity, and death. But in the end I’m glad it’s fiction, and that our hope lays not within ourselves, but in God. The God Who became one of us, spoke to us, showed us the way. Because the Gospel according to Interstellar is a bleak one. What do you think? Did you see the movie? This post is for dads (or dads to be). It’s okay if you moms, wives, sisters, daughters (cousin’s former roommates) read it, too. Because what I’m going to share (I know, I’m sounding like an informercial here) has the potential to change. Your. Life, too. I didn’t come up with it. A guy named Greg Vaughn out of Lubbock, Texas did. In a nutshell: Mr. Vaughn was one day cleaning out his garage, and came upon an old, worn out, rusty tackle box that had been his dad’s. Convicted by this, Greg Vaughn got together with a group of friends, and like the old shampoo commercial, they told two friends, etc. 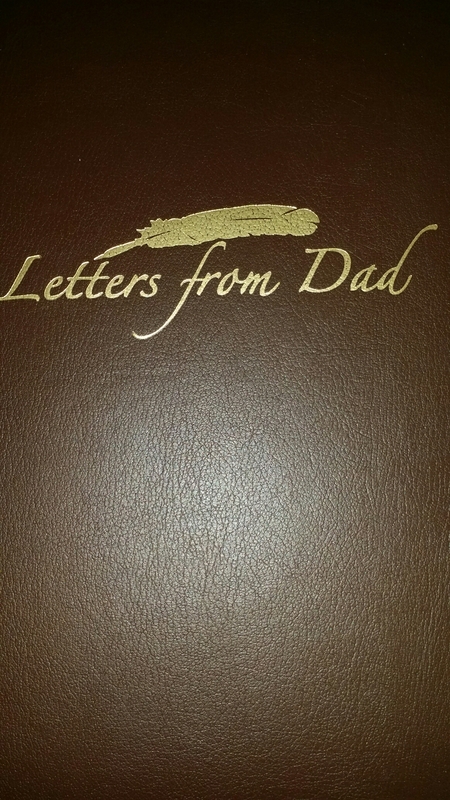 Thus Letters From Dad was born. In the last 10 (or so) years it has gone quietly viral. What it is is a series of meetings (five in total), where men gather to learn the the lost art of letter writing. These letters are tokens of faith, hope, and love poured out upon the page for our families. It’s about not just writing well, but living well–backing up those words. Let’s face it: words are powerful. Why not use them to powerfully speak into the lives of those we love the most? The program starts with us guys writing a letter to our wives (we wouldn’t be dads without them), proceeding through our children–eldest to youngest–and then our parents. Writing all this down gives us guys an opportunity to say the things we often mean, but forget, to say. We get to express our love, our gratitude, our hopes and dreams for our kids. We get to leave a written record of what was most important to us. One that will live on after we are gone. Again, I know this sounds like an informercial, or something, but I believe in it (Letters From Dad) so much that I wanted to let you, my faithful readers, know. (Ladies, if you read this far, I would encourage you to order the materials for the man in your life. You’ll be glad you did). When someone so well-loved, widely regarded, respected, and talented as Robin Williams was passes on it’s like losing a friend. Or a family member. This is someone who came into our homes week after week, who we visited at the cineplex, who was in the news. Doubly so, and especially for those of is who grew up watching Mr. Williams’s work, because it reminds us of stark naked reality: if someone so rich, successful, and nearly universally loved as Williams was can die, so can we all. As the story of Williams’s death broke we all felt you chill winds of mortality blow over our souls. Wealth, success, fame, power, regard are no antidote. While wealth may buy us extra time, it’s no guarantee. The late Steve Jobs was a billionaire, was able to extemd his life by a few years, yet still he had to pay the boatman. Death, as Shakespeare said, is the “undiscovered country, from whose borne no traveler returns.” Even those of us who are Christians don’t know what awaits us on the other side. We have the Bible, and we have hope. But none of, despite claims to the contrary, has actually crossed over, seen what lies in that far country, and come back to report our findings. It doesn’t work that way. God generally does not, as much as we wish it, gives us foreknowledge of our own ends. He teaches is instead to number our days, to live as if He were coming back, indeed to live as if each day was our last. Where are you placing yours? Knowing that this one life you’ve been given here upon this earth will end, where–in whom–are you placing your faith, your trust? Your (eternal) life depends upon it.